Name: Sixaxis Compatibility Checker Apk. 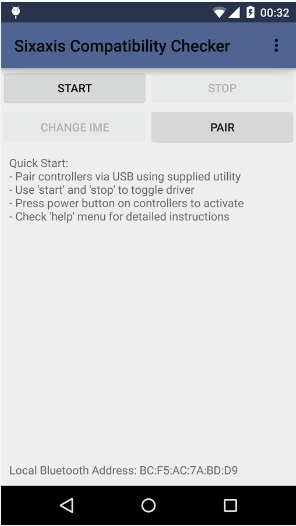 Sixaxis Compatibility Checker Apk is a free android app which helps you to check whether you phone is compatible with Sixaxis Controller or not. 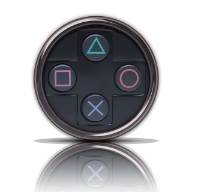 Sixaxis Controller is a popular android app with which you can play games of PS3 on your phone, the app is however not available for free and cost a little bit high. So, to assist users, Dancing Pixel Studios launched a compatibility checker. 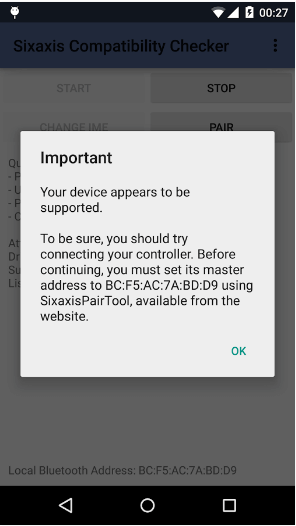 With Sixaxis Compatibility Checker you can check that if your phone is going to work on Sixaxis Controller or not. This will help you to tell you the deficiency that you phone is having the app and of course, it will help you to invest in the right place. 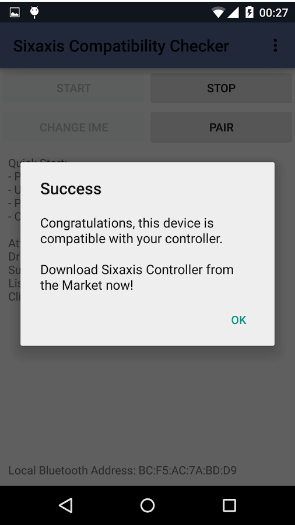 Sixaxis Compatibility Checker Apk is Free of cost so you can download it on any android device because it does not have any special requirements and is of low size too. Once you download the app from play store, or you install it from apk file, then you will have to give it root access(in some cases) as it requires it to check whether your phone is compatible with the main app of not. Install the app from play store or download its apk file from the above link or download button. Now click on the start button to check compatibility. It will check your phone through your Bluetooth address. If you Bluetooth address appears at the bottom of your screen then your phone is compatible with Sixaxis Controller. 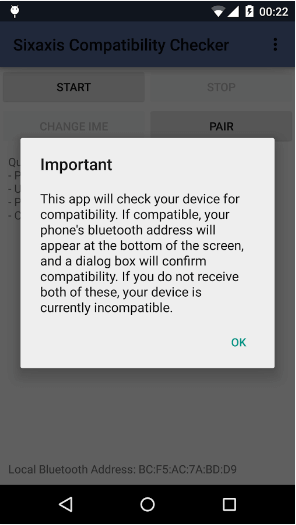 If the Bluetooth Address doesn’t appear and disconnect appear in the dialog then your phone is not compatible. Check the Bellow Images to for more help.